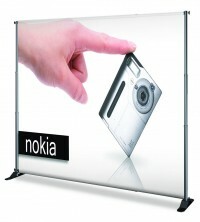 Portable banner stands are also referred to as non-retractable banner stands, spring back banner stands or tension back banner stands. 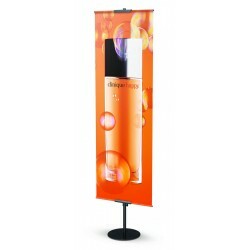 This family of banner displays includes telescopic banner stands, X banner stands, L banner stands, and all the models that don't have a roll up mechanism, but instead require the banner to be attached and removed from the stand with each use. 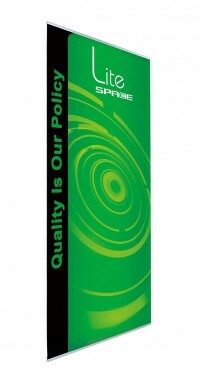 Since portable banner stands, X banner stands and retail banner stands are all non-retractable, and some of them have options that allow them to be used in both environments, many stands appear in multiple categories for ease of navigation. 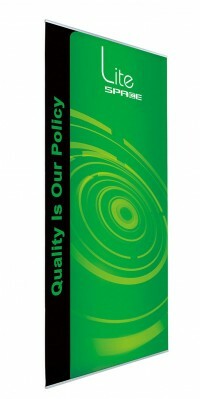 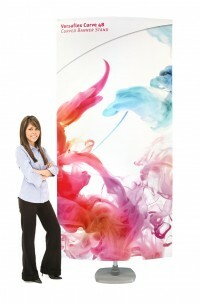 Portable banner stand models are popular in a variety of situations. 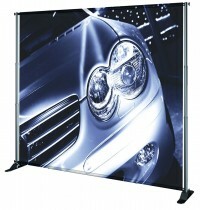 Some customers are looking for a less expensive display, and since these models have no moving parts, there are some really cheap banner stand models in this group. 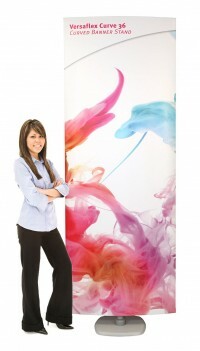 For others, they are popular because they tend to leave their banners set up on display and don't need the ability to easily take down the banner frequently, making portable banner stand models just as convenient as retractable models. 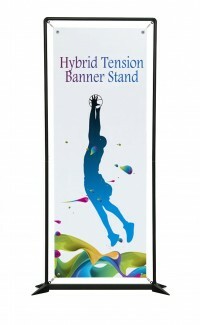 Because portable banner stands don't have a mechanism, it's also possible to have the banner be the entire width of the display. 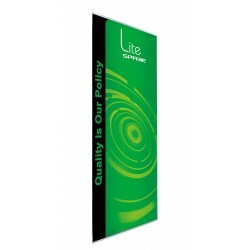 Not only does this maximize the display space on the banner, but allow allows multiple stands to be placed together with little or no gap between them, making them excellent for creating large banner displays or banner walls. 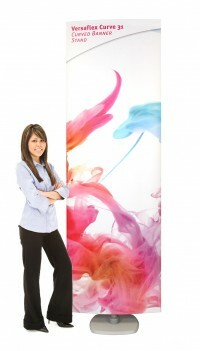 Some of the models in this category have weighted bases that make them more stable for use in retail environments or other places where people might bump into them, or for making extra tall banners possible. 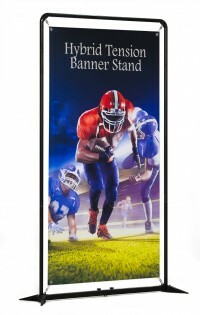 For convenience, you can view our Portable Banner Stand Comparison Chart by clicking the Compare icon, which is also available on each portable banner stand product page. 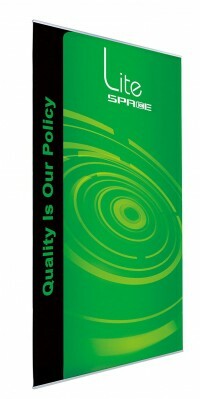 You can also use the filtering features in the left margin to narrow down the selection using various criteria such as size, price and warranty. 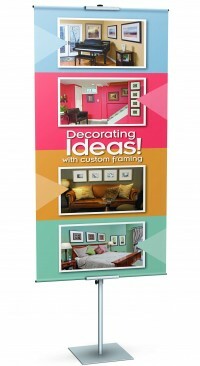 As always, when in doubt, contact us by phone, e-mail or live chat and we're happy to help you select the best display for your needs.